At a loss on what to do with you and yours during Montreal Easter weekend? From the religious to the secular, your guide to Montreal's Weekend de Pâques is packed with things to do, from traditional Easter brunches to egg hunts, sugar shack meals to nightlife excursions, and more. Eggs hunts, live Easter bunny petting, an Easter maze and pop-up Easter farms are just a few of the many activities geared towards families with young children in and around Montreal. Plus every year over the holiday weekend, Atrium le 1000, an indoor ice-skating facility in downtown Montreal, opens to families. There are many ways to enjoy brunch at ​one of Montreal's top breakfast and brunch hot spots. However some restaurants go above and beyond to offer special menus tailor-made for the Easter holiday. From fancy French restaurants like Boulud in the Ritz-Carlton to a posh high tea serving at one of the city's many tea rooms, there's something for everyone to enjoy on Easter Sunday. Easter weekend represents the holiest observance of the year for Christians, a time to reflect on the death and resurrection of Jesus Christ, the believed son of God. 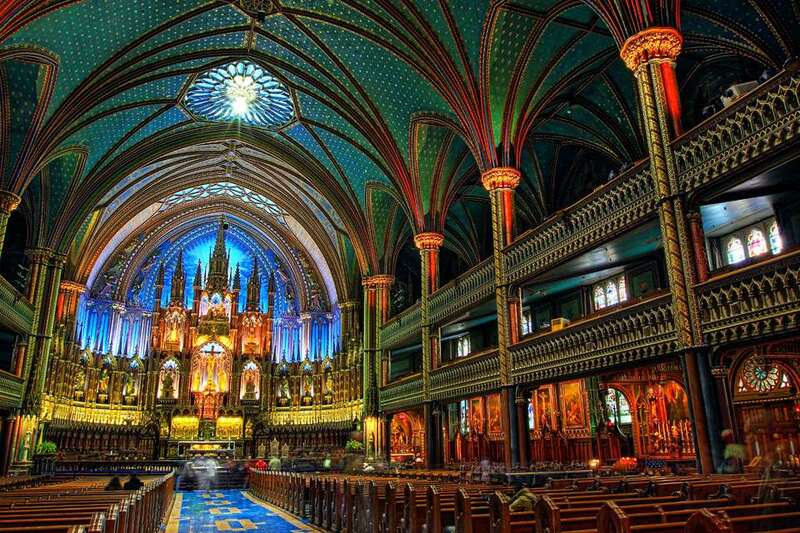 With the holiday comes Easter Masses and in Montreal, the grandest ones are held in the city's largest and most ornate churches of all, its basilicas: St. Joseph's Oratory, Notre-Dame Basilica, and Mary Queen of the World. All three hold multiple ceremonies on Palm Sunday, Good Friday, and on Easter Sunday. St. Joseph's Oratory's masses are especially involved given the space of the grounds and its ​history of saintly miracles. Montreal Easter weekend isn't only for kids, or Christians for that matter. From listening to classics in a sacred setting to appreciating captured wings to sharing arena space with thousands of party nuts in a sea of white hues, there are a few traditional as well as secular Easter customs unique to Montreal in addition to activity suggestions that hopefully quash any potential holiday boredom. The humble sugar shack meal is the quintessential Québécois feast that heralds spring every year and the perfect all-ages​ activity for Easter weekend. Some offer wagon rides and have mini farms where kids can pet animals or even ride ponies. Others feature nearby nature trails helping folks work up an appetite. And any cabane à sucre worth its sugar serves maple taffy on snow. Montreal winter hotels are perfect for travelers who can't be bothered to trudge through slushy streets, given their direct connection to the underground city. For a stylish stay, book accommodations at Montreal's top-rated boutique hotels or most luxurious hotels. And for stunning views straight out of a European travel guide, stay in Old Montreal's top-rated hotels.